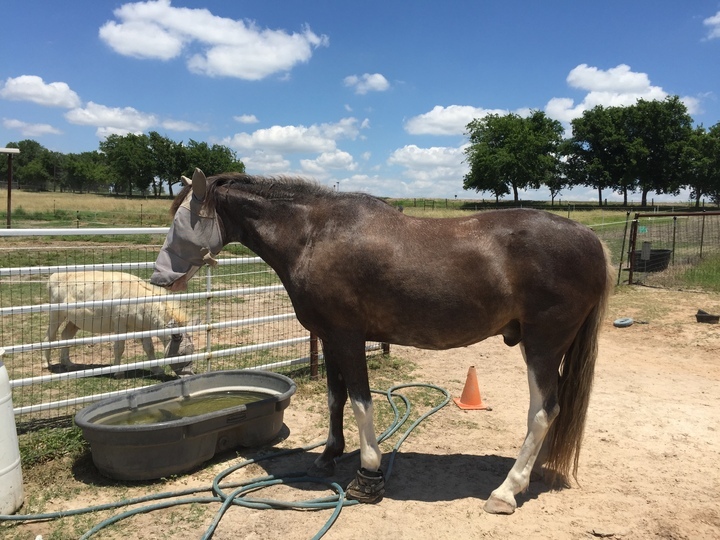 DDT +E – Diagnosis | ECIR Group, Inc.
Equine Cushing's disease, also known as Pituitary Pars Intermedia Dysfunction (PPID), and Insulin Resistance (IR) are distinctly separate conditions. The often overlapping signs and symptoms can make diagnosis difficult. PPID/Cushing's Disease is a disorder of the pituitary gland and results in hormonal disturbances. The pituitary gland secretes high levels of the hormone ACTH (adrenocorticotrophic hormone), which stimulates the production of cortisol, a stress hormone. Endogenous ACTH — a single blood draw to measure the level of endogenous ACTH — is diagnostic for PPID in equines and recommended by the ECIR Group. The sample requires special handling for accuracy. There are seasonal fluctuations to consider for diagnosis of PPID. Please review the section on Seasonal Rise. In the United States, the ECIR Group suggests Cornell University Laboratory. An EDTA plasma tube (usually lavender top) MUST be used for specimen collection. Collect blood to the tube fill volume, gently mix by inversion, and chill immediately by refrigeration or immersion in an ice bath. Separate plasma from cells by centrifugation as quickly as possible for dogs and within 4 hours for horses. Centrifuge for 5-10 minutes (preferably in a refrigerated centrifuge) and transfer the plasma into a plastic (canine/equine) or coated glass (equine only) tube and freeze immediately. Ship on frozen cold packs using an overnight courier service. Plasma samples should arrive frozen (strongly recommended) or adequately chilled (i.e., kept near 4°C at all times). In Canada, the ECIR Group suggests Guelph University Laboratory. Equine HAC. Endogenous ACTH assays are the most useful test for diagnosing pituitary tumors in horses. One limitation is that ACTH is a fragile hormone that requires meticulous care in handling. Blood should be collected in a chilled silicone coated EDTA tube, centrifuged immediately, plasma collected in a plastic (nylon) tube and kept frozen until assayed. Gribbles will do Leptin testing. The Dexamethasone Suppression Test (DST): The DST measures cortisol response to an injection of dexamethasone. In normal horses, dexamethasone causes profound suppression of cortisol release. Once considered the gold standard for testing, this test has largely been replaced by Thyroid-Releasing (TRH) Stimulation Stimulation Test because of the risk of dexamethasone inducing laminitis in insulin resistant horses. The Domperidone Response Test is still experimental but may be the PPID test of the future. This involves oral, or possibly intravenous, dosing with the drug domperidone, which causes an approximately 300% rise in ACTH in a horse with PPID but not in a normal horse. The Thyroid-Releasing (TRH) Stimulation Stimulation Test: Thyroid releasing hormone (TRH) stimulates release of ACTH. In normal horses the rise is very small but in PPID horses it is pronounced. Samples for ACTH are drawn before and 10 minutes after TRH injection. This test has more false positives than endogenous ACTH but because of its higher sensitivity is a good test for horses strongly suspected to be early PPID horses but which test negative by endogenous ACTH. Results are not reliable during the fall seasonal rise. Urinary Cortisol:Creatinine Ratio is a test done on urine as a screen for PPID/Cushing's disease. It is not 100% diagnostic, but is highly suggestive. It is more accurate than blood cortisol levels in detecting increased production of cortisol. Cortisol Rhythm is not diagnostic for PPID/Cushing's Disease, and is considered to have 30%+ false-positive readings. Most veterinarians now know what Insulin Resistance (IR) is, and that horses may be IR without having PPID/Cushing's Disease. A lot of confusion, however, remains about how to correctly diagnose it. 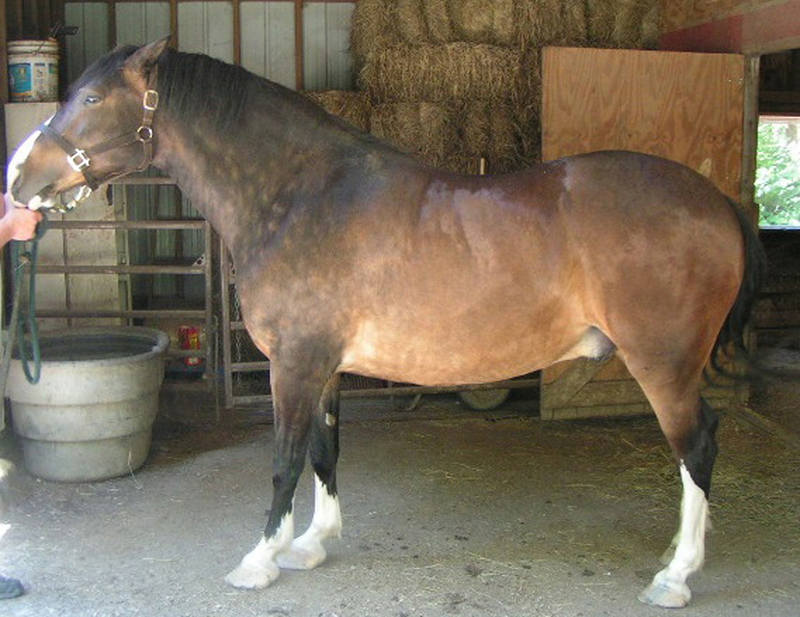 Symptomatically, most but not all, IR horses have a body condition score of 6 or higher (or a history of being "easy keepers"), abnormal fat collections, such as fatty crests, fat in the eye hollows, or other fat pads; these horses are often brought to the vet's attention because of laminitis. Insulin resistance is the failure of insulin sensitive cells to respond to "normal" levels of insulin. There are many controversies over how best to test for IR in equines. There is a dynamic interaction between glucose and insulin that changes over the course of the day. 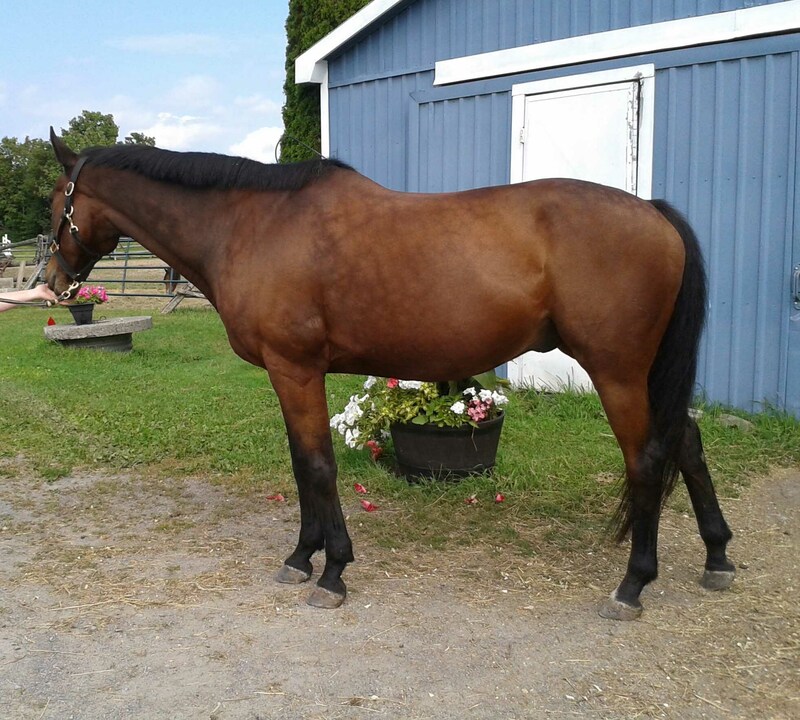 Insulin levels change when the horse eats, sleeps, or exercises. A normal level will depend on conditions of the test. A low-sugar and starch diet can influence insulin results. Testing leptin will help avoid a false negative in these cases. Leptin is the satiety hormone that tells the horse to slow down or stop eating. IR horses are also typically leptin resistant and will not stop with free-choice eating. Leptin is more sensitive than insulin and can be abnormal when insulin is not. Risk of IR increases at the higher leptin values. Heavier horses have higher leptin. Leptin levels will change with age and with sudden changes in nutrient requirements, such as foaling, or starting an exercise program. Some breeds have higher normal leptin than others. Most university and commercial labs offer serum insulin and glucose tests. Currently, only Cornell University offers leptin testing in the USA. In Australia, leptin may be tested through Gribbles Pathology. Testing in an acutely laminitic horse. It is probably best to refrain from testing for IR until the acute phase of laminitis has been controlled. 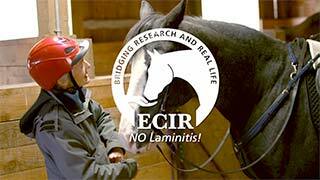 There's a good chance that an acutely laminitic horse is going to test positive for IR regardless of the cause because of the inflammation and pain/stress. Horses should not be fasted before testing. This is only done for human tests. If a horse is meal fed — periods in excess of 6 hours when the horse has nothing to eat — the first meal after the fast will generate a larger insulin spike than subsequent closer-together feedings, even if the meal is exactly the same. To avoid a false-positive result, the horse should have hay available at all times the night before and day of the testing. If that's not possible (e.g., a ravenous horse that will inhale as much of anything you put out as quickly as possible), make sure the blood is drawn at least 4 hours after the first meal of the day, keeping some hay in front of the horse until the testing is done. The horse should not be fed any grain prior to testing. The horse also should not be exercised within 4 hours of the test; avoid shipping before testing if at all possible. Stress and exercise influence glucose, insulin, and leptin dynamics. Most IR horses do not have an elevated blood glucose. It is helpful, however, to test glucose to make sure the horse has not reached the diabetic range. A horse can be IR and still have an insulin level that is within the lab's normal range. IR can be diagnosed from insulin (RISQI) and leptin alone; however, as stated above, checking glucose will help make sure the horse has not reached the diabetic range. If the feeding restrictions above are followed and the horse tests with a normal glucose, elevated insulin, or elevated leptin, he or she is insulin resistant. The upper limit of normal for glucose in a horse that has not been fed anything but hay is around 100 mg/dL (5.6 mmol/L) by definition. In other words, it is taking a larger amount of insulin to maintain a normal blood glucose. It is important to also know that the horse could have an insulin result inside the lab's normal range and still be insulin resistant. This is determined by the use of calculations called proxies and testing of leptin. Based on human studies and data from our group members' horses, we have been using the G:I ratio for many years now. It's very easy to do. Simply divide the glucose result in mg/dL by insulin in uIU/mL. (If your insulin is reported in pmol/L you have to convert it to uIU/mL by dividing by 7.1.). A value below 4.5 represents uncompensated insulin resistance with high risk of laminitis. Values between 4.5 and 10 represent compensated insulin resistance with less risk of laminitis — but the horse still needs tight diet control. The RISQI is a proxy developed by researchers at the Virginia Polytechnic Institute. RISQI stands for "reciprocal of the square root of insulin". It is calculated by the equation 1/square root of insulin. A RISQI value of less than 0.2 indicates uncompensated insulin resistance and the horse is at high risk of laminitis. RISQI of 0.2 to 0.32 indicates compensated insulin resistance and a lower risk of laminitis. MIRG doesn't measure insulin sensitivity. It measures beta cell responsiveness, or the ability of the pancreas to respond to blood glucose. It is the proxy for AIRg: acute insulin response to glucose. High MIRG = abnormally high insulin response, which is abnormal and likely indicates IR; but low MIRG is also abnormal and is seen in IR that has progressed to diabetes. The IR Calculator is the tool designed to quickly calculate G:I Ratio, RISQI, MIRG and Leptin. Recent studies have described horses with normal SI (RISQI) on intravenous testing but high AIRg. It has been hypothesized that the high AIRg on oral testing is coming from incretin release in the intestinal tract. Incretin stimulates insulin release as soon as food hits the intestinal tract and in high secretors can overshoot the mark. These exaggerated insulin responses may be what makes the cells desensitized to insulin. Low MIRG is seen in horses with pancreatic exhaustion that are not secreting enough insulin and are diabetic. NOTE: Sudden changes in nutrient requirements, such as foaling or starting a regular training program, can result in leptin values in the 5 to 6 range. Friesians and other draft or light-draft type horses appear to have a higher normal range than light horses in a limited study. The light-draft normal range is < 15 ng/mL. In Equine Metabolic Syndrome (EMS), the concentration of leptin is generally in the high or intermediate reference range. Horses with PPID/Cushing's syndrome with high ACTH and high insulin, but low leptin, are more likely to have hyperinsulinemia caused by PPID rather than EMS.